Anchor: After months of overheating, Seoul’s real estate market has stagnated in the last two months. The number of houses being bought and sold rapidly decreased after the government introduced a number of measures aimed at stabilizing the housing market in September. Jim Bulley has his report. Report: The real estate market in Seoul has frozen in the two months following the government’s September 13th measures. According to weekly housing market trends tallied by local realtor KB Real Estate, the transaction index in the capital city stood at four-point-zero as of Monday, the lowest in more than five years since three-point-two recorded in August 2013. A reading above 100 means trade is brisk. The index reached as high as 65-point-seven in late August this year. The latest figure stood at six-point-zero for Seoul's affluent Gangnam area, south of the Han River. The index measures the level of home transaction volume by surveying some 35-hundred real estate agencies in Seoul. The transaction volume has reduced due to stronger regulations on bank loans included in the anti-speculation measures. The September 13th measures were intended to block multiple homeowners from engaging in speculation, barring them from taking out mortgage loans to purchase new homes in restricted zones. 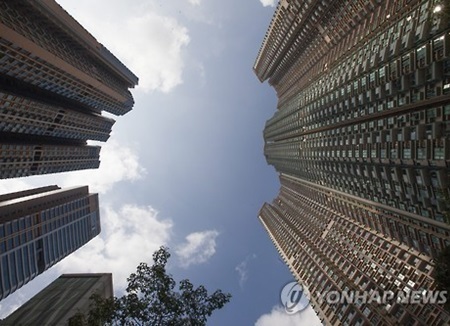 The government also raised the maximum rate of the comprehensive real estate tax to three-point-two percent for people who own more than three homes, or more than two homes in Seoul and Sejong as well as parts of Busan and Gyeonggi Province. To protect people who have actual demand, the government promised to supply 300-thousand houses in 30 locations in the metropolitan area. Jim Bulley, KBS World Radio News.